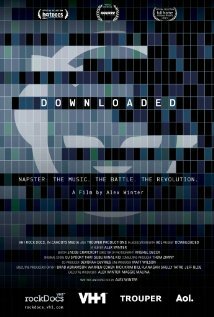 A gritty and disturbing look into the American food distribution system and the negative results that follow in a descensitized society. 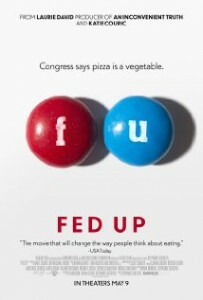 Fed Up is a documentary that looks into the FDA and slides aside the curtain to corruption involving bribery from major snack companies, surgery for overweight children who haven’t even hit their teenage years yet, and the things hidden in these junk foods that aren’t always revealed on the label. To me, Fed Up opened my eyes to the horrors of processed foods like Super Size Me did for the fast food industry. It was really impactful to see the kinds of stacked decks that we as people have of living healthy. Director Stephanie Soetchtig and narrator Katie Couric state the facts on sugars and salts that hurt our body through each individual portion, and what they do over a ten year span. I enjoyed Fed Up for how feeble minded they made our food government administration look. The same group who characterized pizza as a vegetable are clearly guilty for not having done enough to give us better choices in the real world, and safer choices for our children in schools across the country. I do believe that Fed Up is one of those films that needs to be shown in schools to act as a backlash against the brainwashing that TV does to young minds who see colorful characters like Ronald Mcdonald or Captain Crunch and don’t have anything to oppose this with because these big name corporations have so much money and time invested in the products they present. The narration by Couric was outstanding and reflects decades upon decades that she has studied on this particular issue. The facts are presented with graphic animations that are made easily enough for anyone to understand and receive an education to the horrors that we are putting into our bodies everyday. I also thoroughly enjoyed the dancing around the issue approaches to these administration executives who were asked questions on what they have done to eliminate sugars from their products. They come across as big wigs who have absolutely zero involvement of presenting a healthy option to their customers and are only interested in loading their wallets even fatter. One thing that did surprise me about this film that i never really took the time to think about was the effects this will have on our military soldiers over the next fifty years. One out of every three children now face obesity and where will that leave the men and women fighting for our country who don’t have the right genes to combat a disease as powerful as obesity? The lone problem i had with Fed Up is that it gives some decent minor arguments on what we can do to combat these processed foods as to bringing them into our own homes, but it never really has a bigger picture plan. The documentary profiles how popular cigarettes were in the 60’s and 70’s and how countries came together and took a stand against what they called “Cancer Sticks”. Instead of offering a commentary for how we can fight this juggernaut, Couric rather states that it’s impossible to take down something so huge. Sure, there are dietary suggestions that the closing credits offer, but i left this documentary feeling like it’s a losing battle that will only get greater as 60% of our country now suffers from diabetes. That is a bigger figure than ever before. Even with that in mind, Fed Up is the single greatest look at the single greatest terror driving up our death rates. Obesity is greater than cancer now, and it’s time we woke to treat these corporations the same way we do the alcohol and tobacco corporations. I absolutely recommend Fed Up to every one. I guarantee you that everyone will learn at least one thing in this documentary that they didn’t know before. 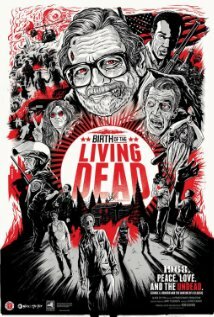 After you watch this film, you will fear the many colorful aisles of a grocery store in the same way you fear looking at your own tombstone before you ever die. Ladies and gentlemen, i give you an early favorite for film of the year. It’s very rare that a documentary will hit me in such a way that Kids For Cash does. That’s not to say that i don’t enjoy documentaries, but when compared to the year’s best screenplay films, it never adds up. I think that is about to change with this enraging documentary about the 2007 Kids For Cash scandal that saw many innocent kids under the age of 18 go to jail for minor offenses. 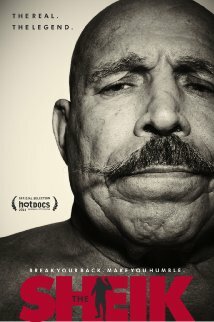 The film explores the huge holes in the American legal system and how we are one of the only countries to have no revisions to our original juvenile legal system. This is a film that i feel every parent should watch because it’s about those times when being our children’s protectors is taken from us due to corruption and greed. The story focuses mostly on two judges from Pennsylvania who accepted a 2.2 million dollar bribe from a prison owner to fill his prison in order to get a new prison built and more funding coming through the doors. The judges in question are Mark Ciavarella and Michael Conahan. One thing that really impresses me about the story that director Robert May tries to tell is that he tells it with both sides debating their points. Ciavarella and Conahan are each given their time to explain why they accepted the bribes that they did, and the only small points that they did wrong. It’s interesting that they take no blame what so ever in sending these kids away and ruining their lives for small things like a stolen bike that the child had no idea was stolen property, a girl creating a fake Myspace page, and a kid getting in a fight at school. While watching this film, you will absolutely despise these two judges and there is no way around that. Without spoiling too much, i can say that one result of a child in particular will get you to the point that you feel like you are this boy’s parent and fighting and yelling against Ciavarella. I am getting off topic, but i promise you that the film itself is very stylishly shot. Screen text throughout the film will always keep the reader side by side with where the story is headed even if you don’t fully understand the legal mumbo jumbo of the lawyers and judges, respectively. There are lots of legal information about ours and other countries around the world when discussing child punishment laws. It paints the picture that even though we are one of the most lucrative countries in the world, and one of the most powerful, we are still years behind on a perfect system. The zero tolerance policy is not a system that will ever work well for children because you can’t compare them to adult criminals. The film goes as far as to explain that the teenage mind will never be fully developed when a child makes a terrible choice. They are literally still being molded into the people they will become one day, and grouping them with murderers and rapists probably isn’t the most logical choice. The background score is done very beautifully as well with lots of mellow tones to accomodate the parents when they tell the horrors of what their children went through. The ending credits are played off to a child choir singing Creep by Radionhead. This is quite appropriate for two reasons. The first is the sad tone coming from the choir voices, and the second is that it’s during that song we learn the fate of the two judges. In his directoral debut, Robert May examines hard hitting details as a result of over a decade of interviews. This is a film that wasn’t made in a year and you have to respect that with how fast films are thrown at the public in the course of a year. 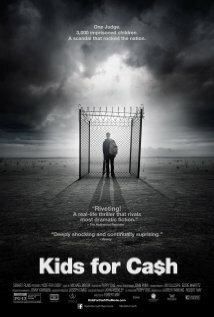 Kids for Cash does what any great advocacy doc does: give you the cold hard facts to get you angry and make you want to pay attention so that something like this never happens again. It’s a cruel look at a crime that will never happen again, but baffle you that it ever happened in the first place. No parent can miss Kids For Cash. I am glad that after a 5 month wait i was finally able to catch this film on Amazon Instant Video. INCREDIBLE.